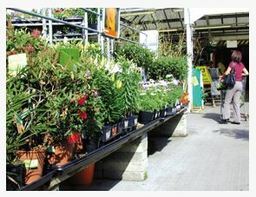 Clay's Garden Centre Ltd is an established business based in Washington. We are open 7 days a week, and sell a huge range of gardening equipment, plants and accessories. We are conveniently located on the Peel Retail Park, with ample free parking nearby. Our friendly staff are very experienced, and can help you choose from our wide range of products. Whether it's some new plants for a decorative border or a set of garden furniture, we will be able to help. We have a coffee shop in our garden centre, and look forward to welcoming you.